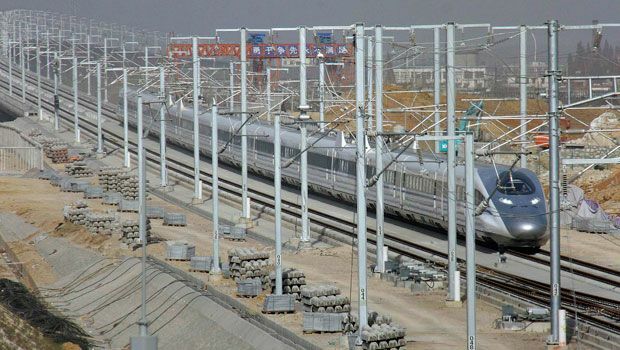 BEIJING — China launched a super-rapid test train over the weekend which is capable of travelling 310-miles per hour (500 kilometers per hour), state media said on Monday, as the country moves ahead with its railway ambitions despite serious problems on its high-speed network. The train, made by a subsidiary of CSR Corp Ltd , China's largest train maker, is designed to resemble an ancient Chinese sword, the official Xinhua news agency reported. It "will provide useful reference for current high-speed railway operations", it quoted train expert Shen Zhiyun as saying. But future Chinese trains will not necessarily run at such high speeds, CSR chairman Zhao Xiaogang told the Beijing Morning News. "We aims to ensure the safety of trains operation," he said. China's railway industry has had a tough year, highlighted by a collision between two high-speed trains in July which killed at least 40 people. Construction of new high-speed trains in China has since been a near halt. In February, the railways minister, Liu Zhijun, a key figure behind the boom in the sector, was dismissed over corruption charges that have not yet been tried in court. (AP) A Chinese passenger train hit a record speed of 302 miles per hour Friday during a test run of a yet-to-be opened link between Beijing and Shanghai, state media said. A specially modified French TGV train reached 357.2 mph during a 2007 test, while a Japanese magnetically levitated train sped to 361 mph (581 kph) in 2003. State television footage showed the sleek white train whipping past green farm fields in eastern China. It reached the top speed on a segment of the 824-mile -long line between Zaozhuang city in Shandong province and Bengbu city in Anhui province, Xinhua said. The Chinese high-speed rail system is a serious feat of engineering accomplishment. Not only is it the biggest network of high-speed rail tracks, but a recent test run by a commercial train set a new speed record of 302 mph. Yes there are other, faster trains, and this was just a test run on the new Beijing-to-Shanghai lines. However, this is supposed to be an unmodified, commercial train. China recently laid claim to another HSR record of 268 mph, but this new train breaks soared past that to 302 mph. That’s fast my friends, and very few land-based vehicles have managed such speeds. 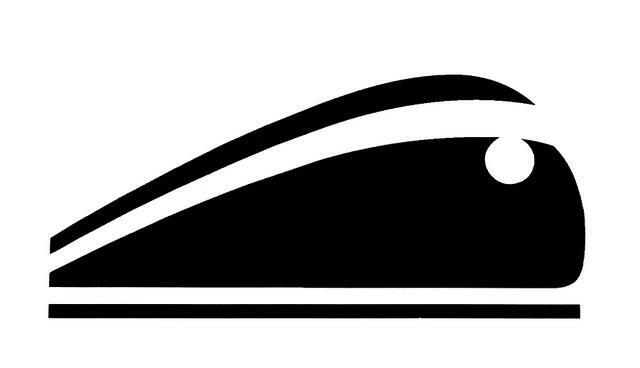 Called “Harmony,” this train probably won’t go 302 mph all the time, but just being capable of it is an achievement. At that speed, the 824 mile trip between two cities takes just five hours. China’s high-speed rail network is about 4,000 miles right now. By 2020, they plan to more than double that to about 8,100 miles. I’m not trying to hate on my own country, but realistically, by that time, we’ll be lucky to have 500 miles of high-speed rail lines. The Chinese investment in high-speed rail dwarfs our own, though it isn’t exactly cheap. At this rate, it’ll only be a few years before they break 400 mph. America needs to step its game up.